Most people are unaware of the quality higher-education opportunities that Canada has been offering for decades. With much lower costs than those to the south in the United States, Canada has made a serious push in attracting international students from across the globe. 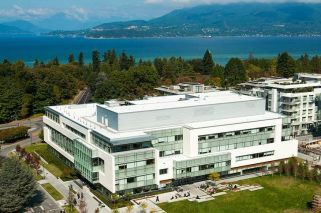 Aerial view of UBC law building, at Allard Hall in Vancouver, British Columbia, Canada. Foto:UBC Communications and Marketing Dept. In recent years there has been a joke circulating, saying that Canada is exactly like the United States – only without the guns and with excellent healthcare. Funny? Perhaps, but then jokes can sometimes contain a few pearls of truth in them. As with healthcare, for example, education is another area that’s worth a second look. In today’s column, I want to highlight to our readers the unique reasons as to why they should consider seeking a university education beyond the United States and look further north, to the land of maple syrup, beavers and ice hockey. Canada has one of the largest national surface areas on the planet and with 36 million people it is a solid, safe and stable democracy. Canada ranks among the top 10 nations in quality of life indexes, including of course its aforementioned outstanding healthcare. 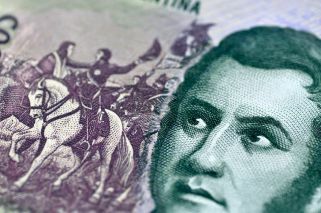 Among the countries in the Organisation for Economic Co-operation and Development (OECD), it is one of the top nations in terms of per student spending on public post-secondary education. Its major cities such as Montreal, Vancouver and Toronto are ethnically and culturally diverse and welcoming to immigrants, students and visitors. The country boasts two official languages – English and French – and many academic programmes offer education in one or the other and sometimes even both languages. Research and development indexes place it among the highest in the developed world. Canadian higher education institutions rank in the top tier too. In recent years several of its best universities – including the University of British Columbia, University of Toronto, McGill University and Macmaster University - placed among the top 100 in the prestigious Shanghai Ranking (Academic Ranking of World Universities, by the Shanghai Ranking Consultancy). Fifteen others were in top global 500, while three ranked in the top 50 of the QS World University Rankings and the top 100 of the Times Higher Education World University Rankings. “According to EduCanada, the country is home to world-class collaborative research and development. Projects include the innovative NEPTUNE ocean floor laboratory, the Canadian HIV Vaccine Initiative, ArcticNet, a revolutionary approach for studying the effects of climate change, and Canada’s Advanced Research and Innovation Network (CANARIE Inc.), which facilitates research and development around the world,” it adds impressively. In Canada, there is a very clear distinction between a university and a college. Institutions granting bachelors and advanced degrees are called universities. In contrast, colleges only focus on vocational and technical training. To make it just a little more confusing however, a school within a Canadian university (such as an arts, science, or commerce department) is called a faculty or a college. In general, Canadian universities actively welcome international students. Each university in Canada has a general minimum admission policy based on Canadian grading standards. These minimum averages and course requirements vary from faculty to faculty, so you’ll have to do your own digging to find out more. For example, universities in the province of Ontario use a centralised application process much like the UK, called the Ontario Universities Application Centre (OUAC). Students submit a single application to OUAC, which is then forwarded to students’ chosen institutions. In all other provinces however, students apply directly to the university. The Trimester system in Canada provides for admissions in September, January and May, which makes it very flexible for students coming from diverse calendars abroad. Virtually all Canadian universities are public institutions. In terms of the application process, Canadian universities are generally thought to place a greater emphasis on a student’s academic record. They don't request personal statements and they don't do interviews, so grades are the primary factor upon which they base their decisions. Institutions in Canada highly value the International Baccalaureate (IB), which is quite present in Argentina. Scholarships are typically awarded based on academic performance, and there are fewer opportunities for financial aid in Canada than in other countries. Athletes are not awarded the same status in Canada and athletic scholarships do not exist at most Canadian institutions. Onto the very good news. Compared with the United States, Canada provides more inexpensive study options, simpler application processes and more opportunities for prolonged or permanent residency, as well as time to specialise and gain practical experience as well as networking opportunities for life. Tuition is half the price per semester, or less, than most US universities and scholarships for positions for Master’s degrees are not as competitive and more widely available. This means you can obtain a degree from a world-renowned “brand” institution at half the price you can in the United States and with similar prestige and quality. Engineering, optometry, medicine, veterinary medicine, law, and dentistry are fields where the first professional degree is considered an undergraduate programme. There is a great deal of academic competition for these spaces and most universities have limits or quotas on the number of qualified applicants admitted each year. A high-level of academic achievement is required for admission. Often at least two years of undergraduate study in a related field are required before you can be admitted to the first professional degree programme. The Canadian system offers excellent opportunity to work while studying (Co-Op) as well as post degree internships. All in all, there’s plenty for those considering an education abroad to mull over. My recommendation? Consider Canada!